Before our trip to Italy we were always reminded by others about how beautiful the country it is, closely followed by how expensive it is. These two things are very true but unlike our recent getaways to Scandinavia and Zurich last year, we found that there was always a cheap option and 95% of the time, that didn’t mean that it wasn’t amazingly delicious! 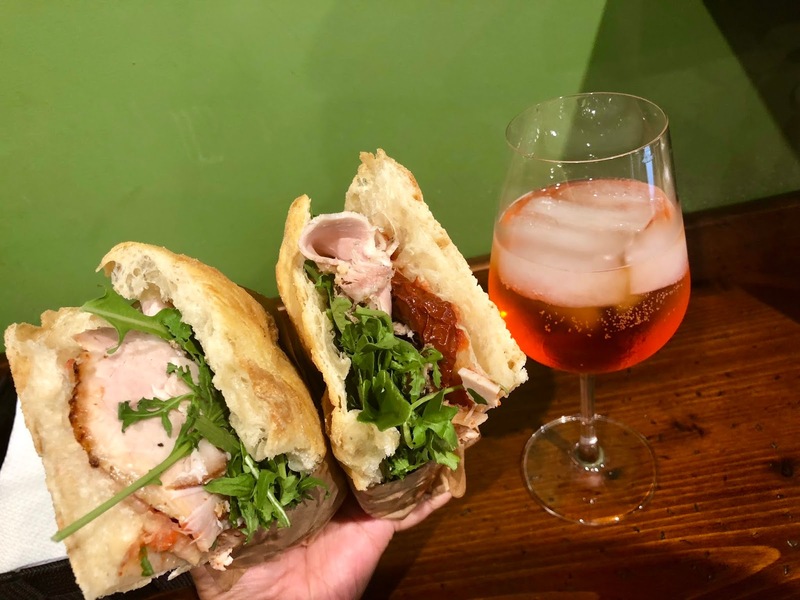 When Florentine’s aren’t eating pizza and pasta, they’re eating sandwiches but Italians being Italians, they don’t know how to make something that isn’t the best you’ve ever had. That is most certainly the case at this small shop down one of the backstreets from the main shopping area. At I’ Girone De’ Ghiotti we had the above incredible sandwich which was filled with cold Italian meats and salad. What you are looking at is actually one portion but it was so big we had to share – and that does not happen very often! As per, Aperol Spritz accompanied and all in all we spent no more than €10. Bargain. Having said all of that, we’re about to briefly touch upon what was the only bite of food we didn’t enjoy whilst in Italy. 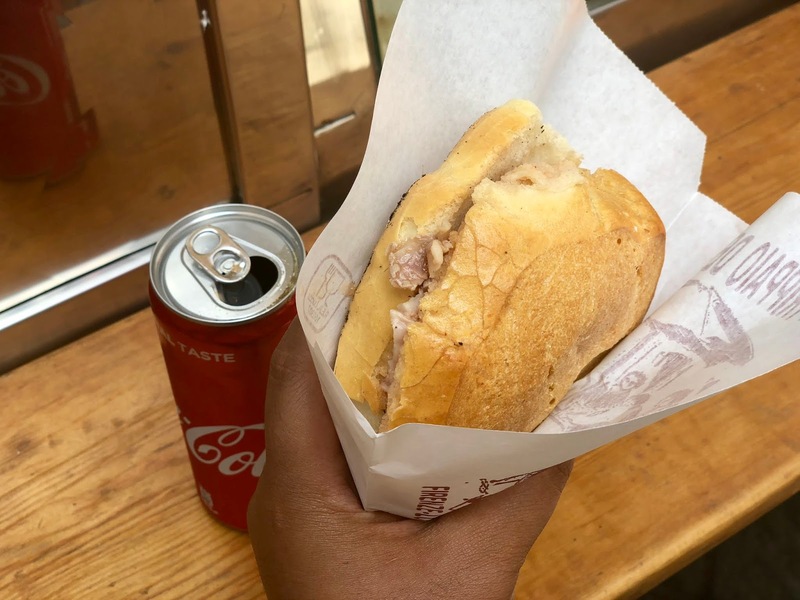 Florence’s classic Lampredotto sandwich came with a warning from our segway tour guide as having something of an acquired taste. It is made with the abomasum of a cow, cooked in vegetable broth and often served with a hot sauce. That description didn’t put us off, but this part of the cow was unbelievably fatty and was not sitting well on our stomachs at all. This traditional street food It is loved by the locals but sadly, not by us. A Lampredotto will set you back about €3.50 if you’re willing to give it a try. On a slightly different now, and we’d like to give a shoutout to our go-to coffee shop which we found ourselves at every morning of our trip. Tucked away by the Arno behind SMN train station is this beauty, where the waitress knew our order of latte and cappuccino by our last day. 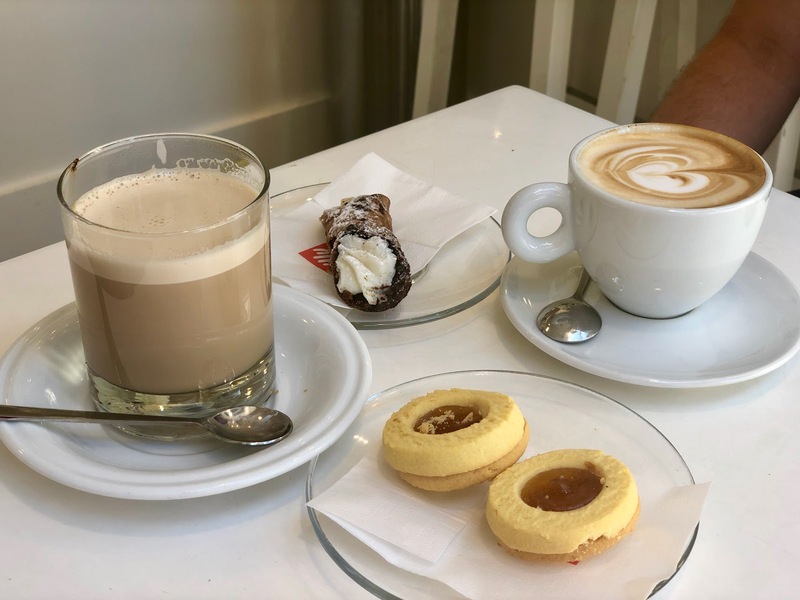 Sure, we know it’s not traditional to have long coffees in Italy, but allow us this once at breakfast before standing espressos all day long from there on in. Now as we’re talking cheap eats, would you like to guess how much the above came to? Coffee is so much cheaper here than in the UK – an espresso is rarely more than €1 and a cappuccino rarely more than €1.50. Coming back to global coffee chain prices was an unkind shock and I’ve bought very few of them since returning to London. Have you been to Italy and found any cheap eat gems? Let us know in the comments. This is a guide I needed! I always find Florence very expensive! So it is great to have a cheap foodie guide for when I come back there!